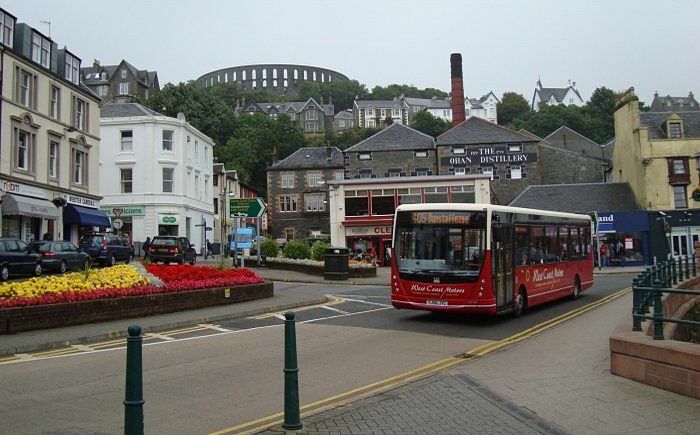 The resort town of Oban is well worth visiting on a day trip or short break. Situated on Scotland’s west coast, this charming port is known as the ‘seafood capital of Scotland’. This could be your ideal base for a holiday if you’re driving, as geographically it sits between Glasgow and Fort William, in the Argyll and Bute area, with a 3 hour drive to Edinburgh and Inverness, and also very handy for Loch Lomond and The Trossachs. 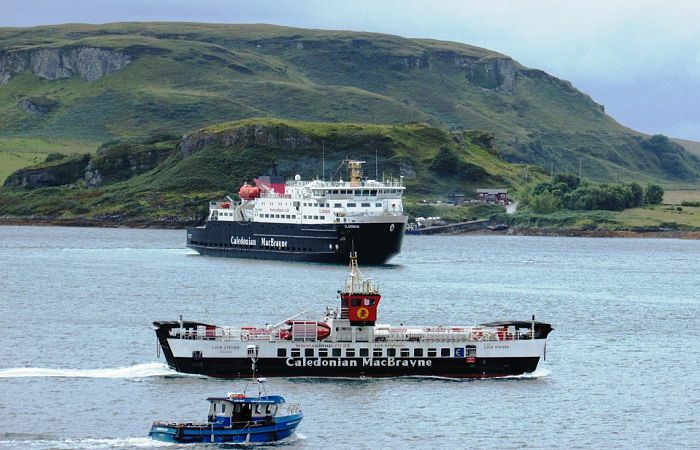 If you plan to visit some of the Scottish Islands, CalMac Ferries operate services from Oban to the islands of Mull, Iona, Staffa, Coll, Tiree, and Lismore during the summer. But you’ll find plenty to see and do in and around the town, at any time of the year. 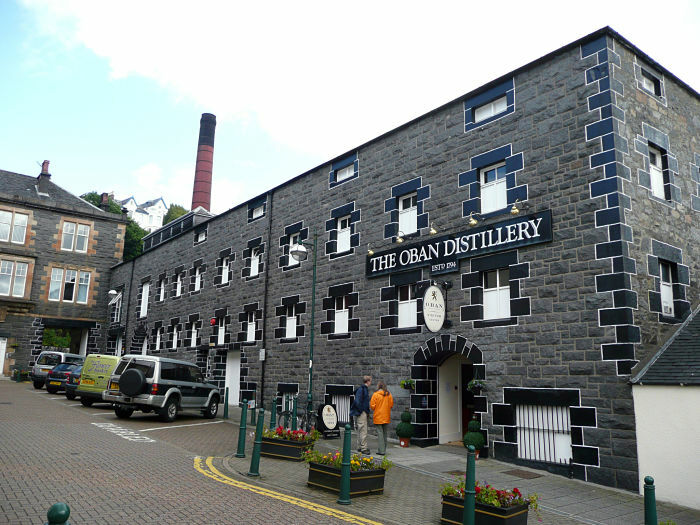 With a convenient location in the town centre, Oban Distillery is popular with visitors to the town. A choice of tours is available (one or two hours) and if required, you can arrange a tailor-made tour. Check opening times, admission prices and directions. 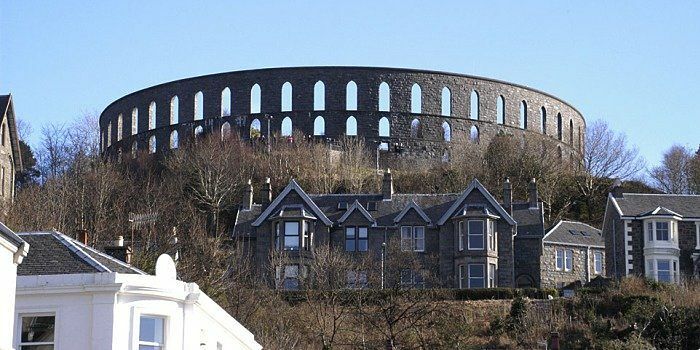 Another attraction you can’t miss, because it’s a large structure which looks a bit like (but not as famous as) the Colosseum in Rome, is the imposing McCaig’s Tower. Although set at the top of a hill, it’s worth visiting, and most tourists do. Inside, you will find a well maintained garden, with seating and a viewing platform that allows you to take in panoramic views of the town, and across the water to some of the islands. Get full details of all these attractions and more on the Oban & Lorn Tourism website. 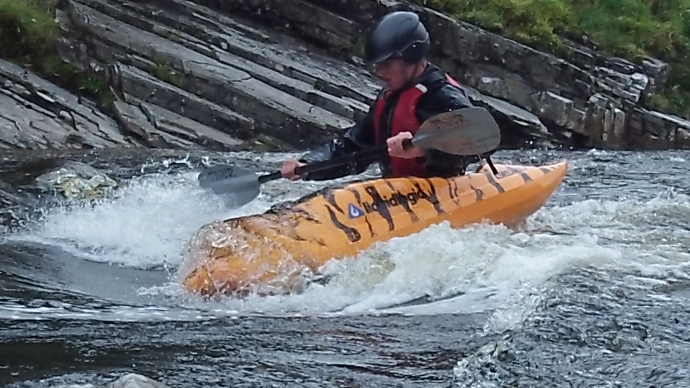 The The National Kayak School is based in Oban, offering courses and tours in sea kayaking and white water kayaking. Expert tuition from qualified instructors. Coastal Connection offer boat trips to spot wildlife including harbour seals, basking sharks, porpoise, otters, dolphins, minke whales, and bird life. You can also enjoy boat trips to many of Scotland’s islands, and private & commercial charters are also available for groups of up to twelve passengers. For the more adventurous, Basking Shark Scotland run boat tours from one day to one week, exploring the Inner Hebrides, where you have the chance to swim with sharks, or just watch from the boat. Tours operate from April to October. Walkers and cyclists can take advantage of good facilities and scenery in and around Oban, and music lovers who visit in June can enjoy the Oban Live Music Festival. For everything Oban has to offer, including museums and historical buildings, eating and drinking, shopping, transport, and events, visit the Oban & Lorn Tourism website.